As fate would have it, Stephanie's mentor and occasional employer, Ranger, needs her to go undercover at the Bogart factory to find out who's putting their employees on ice and sabotaging the business. It's going to be hard for Stephanie to keep her hands off all that ice cream, and even harder for her to keep her hands off Ranger. It's also going to be hard to explain to Trenton's hottest cop, Joe Morelli, why she is spending late nights with Ranger, late nights with Lula and Randy Briggs-who are naked and afraid-and late nights keeping tabs on Grandma Mazur and her new fella. Stephanie Plum has a lot on her plate, but for a girl who claims to have "virtually no marketable skills," these are the kinds of sweet assignments she does best. The Stephanie Plum series is one that I had sort of given up on. There were quite a few things that bothered me about the books and I was pretty much done. 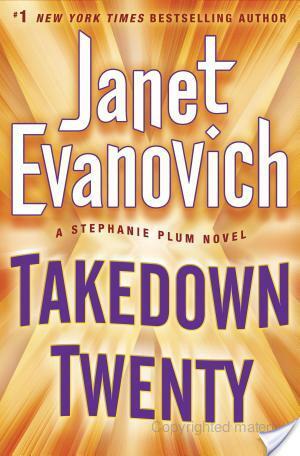 However, my need to finish the series overpowered me and in my attempt to catch up on series, picked up where I left off with Stephanie Plum. 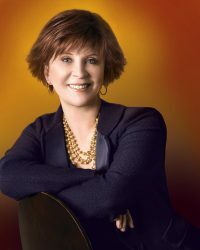 My concerns with this series all lie with our heroine, Stephanie Plum. She has a job as a bounty hunter with her cousin’s bail bonds business. She does this job by the seat of her pants. She doesn’t have the kick assery I would expect from a bounty hunter. They are usually easy catches, or she has help. Stephanie also has a really messed up love life that truly drives me insane. It’s always been a Morelli vs Ranger thing, but I’ve found after twenty-three books, this has gotten old. Choose already! The thing that saves this series for me is the side characters. I always find myself laughing at something they are doing or saying. In this case, Lula and Randy with their Naked and Afraid show. Also the commentary from our other characters. These really make the story enjoyable. 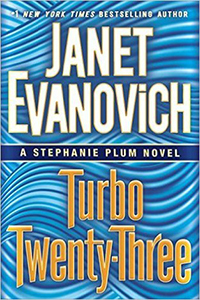 In Turbo Twenty-Three, Stephanie finds herself helping Ranger solve a case involving a frozen dead man in between searching out FTA’s. Her investigative skills are lacking and normally end up with her in trouble of some sort. Always being saved by Ranger and his clever GPS devices. I think Stephanie is more of a magnet for trouble that Ranger and Morelli are able to use to solve their cases. In between the laughs, there is something that is implied Stephanie does. This really bothered me and it had me wondering just what kind of heroine the books were trying to make her be. I’m finding her more unlikeable as the series continues. I wonder if maybe this side of Stephanie is being drug out to make the books more interesting. Maybe to keep people wondering if she is finally going to commit to something. The mystery in Turbo Twenty-Three was a good one. It was a good investigation with an ending I had a suspicion of, but didn’t know how to tie it all together. I did have some forehead slapping moments with Stephanie, but overall the plot was ok. I will continue the series. For the laughs and hopefully they will be enough to override my irritation with Stephanie. I feel bad that a series I started out loving has become one I only tolerate.